Wish More Wineries Would Follow Brilliant Lead of Valuable iD Inside Information Used by Krug Champagne! 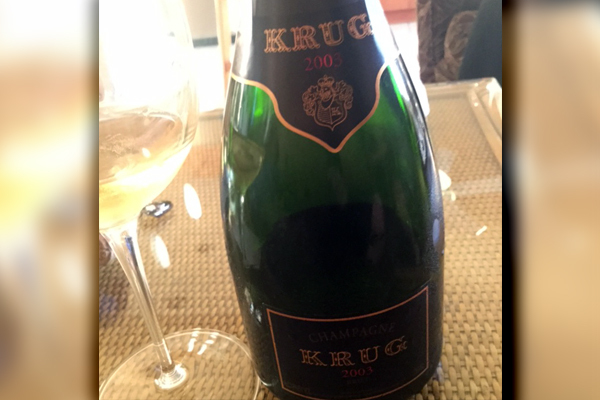 Fortunate to attend a dinner party last week that started out with a delicious aperitif of Champagne Krug 2003 vintage. I confess to being a longtime “Kruggie” Krug lover and know a thing or two about their family history and their outstanding wines. However was really delighted to note on the back of this bottle a Krug iD number 214043. Maggie Henriquez CEO cleverly decided that beginning with 2011 each bottle would carry a bottle specific 6 digit number on the back label called the Krug iD making more information available to those that desired this. 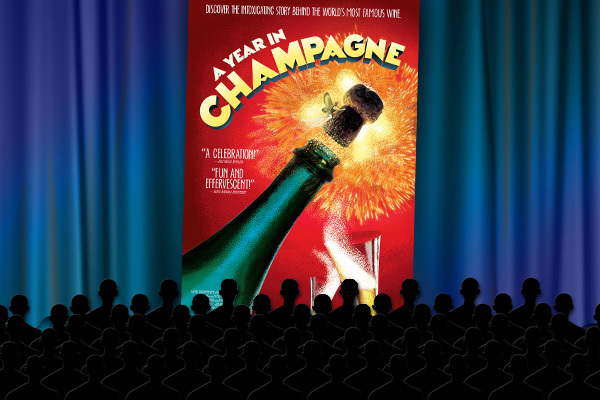 The first number is the quarter and next two the year of disgorgement and last three the lot. During the reception your scribe accessed on his mobile phone at krug.com a treasure trove of information about this treat we were enjoying and enthusiastically read it out to a captive audience. Up popped “Vivacious Radiance” (Vivacite Solaire) perfectly describing this “hot year that surprised Krug with fruit, freshness, balance, expressiveness, vivacity and finesse, all at the same time.” What follows are some very helpful notes from Eric Lebel Chef de Caves of Krug advising that the bottle left the cellars to receive its cork in the Spring of 2014 (11 years of aging) as noted by the first 3 numbers with a blend of 46% pinot noir “lovely structure and body”, 29% chardonnay “plenty of aromatic richness” and 25% pinot meunier “expression and vivacity”. 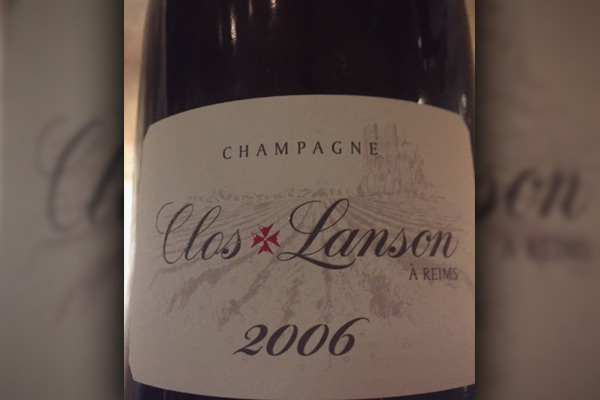 These most exquisite bubbles started with 2003 grapes subject to August record breaking average temperatures of 28.5 C (10 degrees above seasonal averages) with first harvest on August 23 (earliest since 1822) but picking continued in waves until early October. Detailed tasting notes provided of “citrus, plum, liquid honey and brioche on the nose & fresh Summer fruits, surprising red grapefruit along with candied peel, roast chestnut and caramelized apple tart on the palate” really showcased this beautiful bottle for our group enjoyment of it. Much more valuable info is presented on line including suggested food pairings, other ratings, storing & service, and even a musical experience suggestion – in this case Good Times by Aretha Franklin. Congratulations Krug for this outstanding innovative move. Many thanks! Sure wish more wineries would follow your brilliant lead of iD access for supplying this wealth of available inside information on your remarkable Champagnes.